THE TURTLE WARRIOR is a work of fiction created from the layers of life in a surprisingly isolated region, a landscape of multiple ethnicities forgotten by most of America. 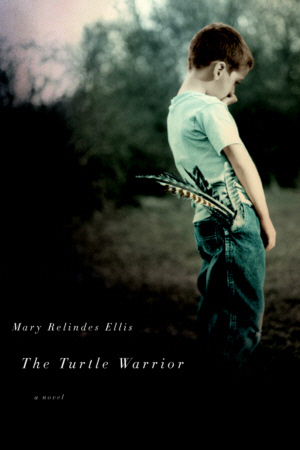 In her gorgeous writing of the natural world, Ellis illuminates through fiction her deeply held belief that children like animals, in an effort to survive, instinctively seek from their physical environment and from others what their own families cannot provide; and that as the traditional Ojibwe have always known, wisdom and clarity can come from a turtle. — Ron Rash, author of One Foot In Eden and winner of The Novello Prize in fiction. THE TURTLE WARRIOR is filled with family secrets and devastating abuse, yet ultimately weaves an unexpected healing, one that springs not only from human compassion, but from an unexpected, supernatural source. With shining prose, Mary Relindes Ellis sweeps us into the perfectly rendered world of Northern Wisconsin and the engrossing lives of two brothers, their heartbreaking mother and the Native American neighbor who mediates the story’s redemption. This powerful novel will affect you deeply and linger long.